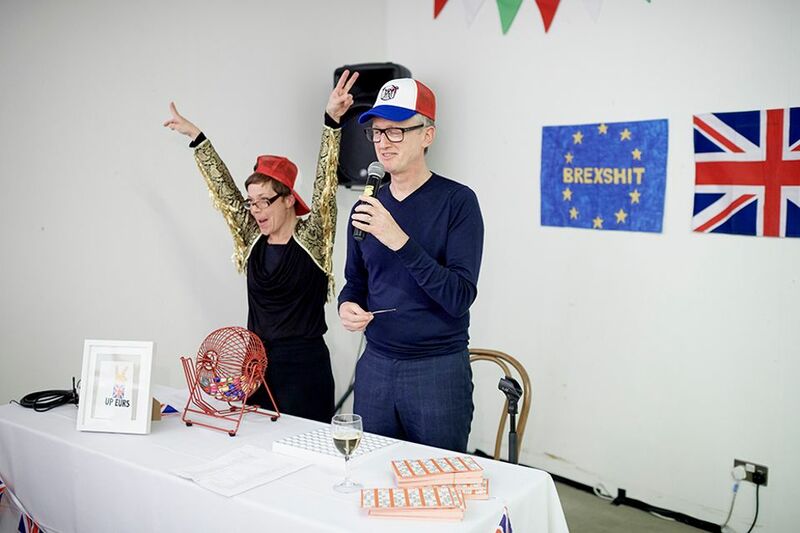 It was eyes down for a special themed Brexit Bingo evening hosted by Michael Landy and Gillian Wearing in their East London studio for the annual Contemporary Art Society's Artist’s Table dinner to raise funds for the CAS’s charitable work. All of the hundred or so guests – who included the artists Isaac Julien, Conrad Shawcross and Anya Gallaccio as well the director of the Whitechapel Gallery Iwona Blazwick, Goldmith’s Professor Richard Noble and the collector Valeria Napoleone – were issued with two game’s worth of bingo cards and special marker pens; and, after the main course of the fully vegan dinner (catered by Vanilla Black vegetarian restaurant), Landy assumed the role of Bingo compère. Landy was resplendent in a red, white and blue cap complete with British Bulldog motif and against a backdrop of a Union Jack, yards of bunting and a large blue and gold starred EU sign emblazoned with the word ‘Brexshit’. As Landy called out the numbers with aplomb, he was accompanied by many excited shrieks from the diners, many of whom were Bingo virgins. 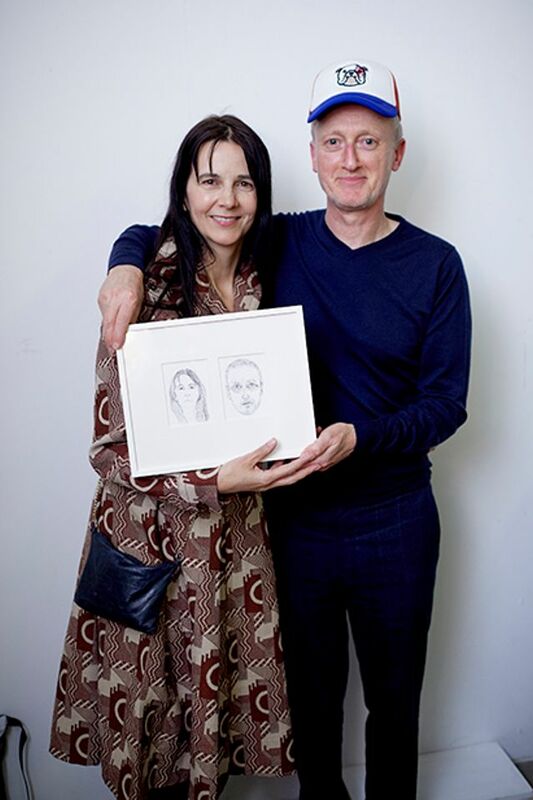 With the prizes on offer all original Brexit-related artworks by Landy, emotions ran very high as numbers came tantalisingly close to the full complement. There was considerable jealousy at the lucky few who got enough to be able to shout out ‘Brexit Bingo!’ and claim their prize. Especial envy was directed at Aliya Nedungadi who got a full house and so was the lucky winner of the top prized of Landy’s original Brexshit artwork. Yet whether the parting guests were owners of new artworks or not, everyone left with a glow of bonhomie and what was undoubtedly the best of goodie bags, the contents of which had also been created by Landy. These took the form of a bespoke mini-wheelie bin (channelling the memory of Landy’s classic Scrapheap Services work) as well as an ‘Up Eurs’ air freshener that commemorated the famous Sun newspaper headline "Up Yours, [European Commission president Jacques] Delors”. In the opinion of your correspondent the best gift of all was a Union Jack ‘Hard Brexit’ condom, which offers at least some solace if Britain crashes out of the EU.